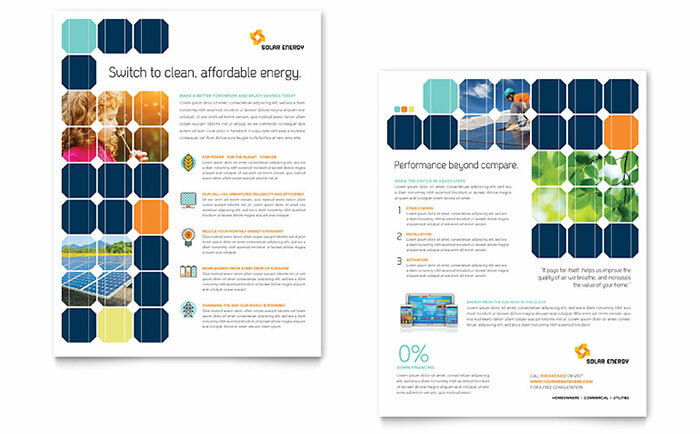 Generate public awareness for renewable energy with innovative marketing materials. 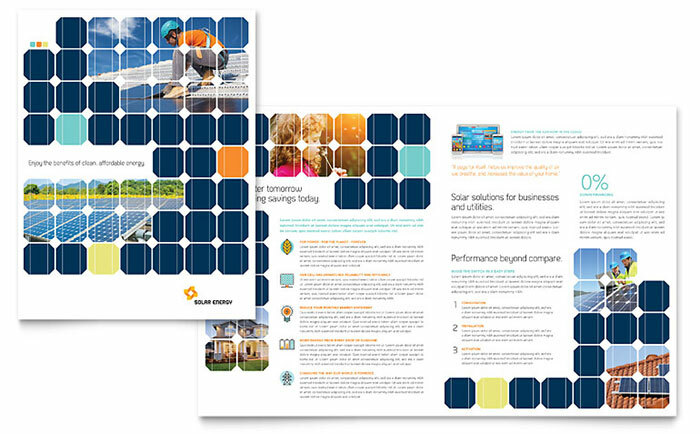 Create brochures, flyers, advertisements, and datasheets with pre-designed marketing templates to promote clean energy and solar power. 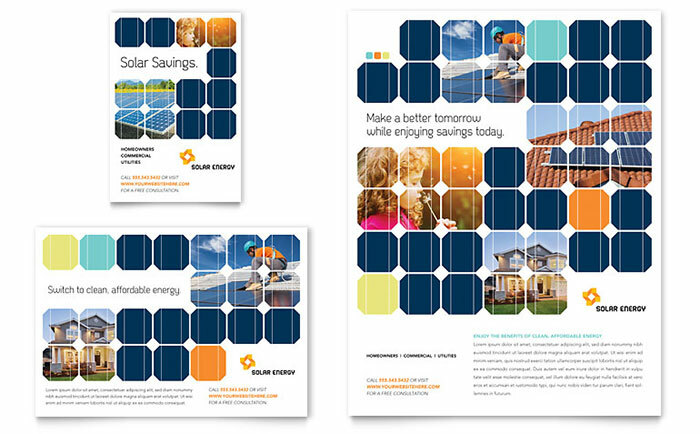 Be more green with StockLayouts creative graphic design templates for environmentally-friendly companies. 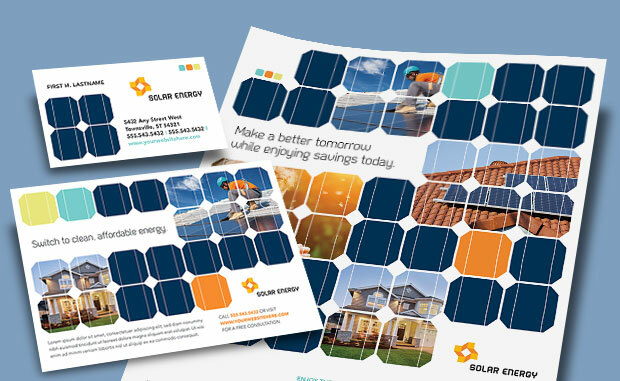 View more graphic designs for renewable energy from StockLayouts. 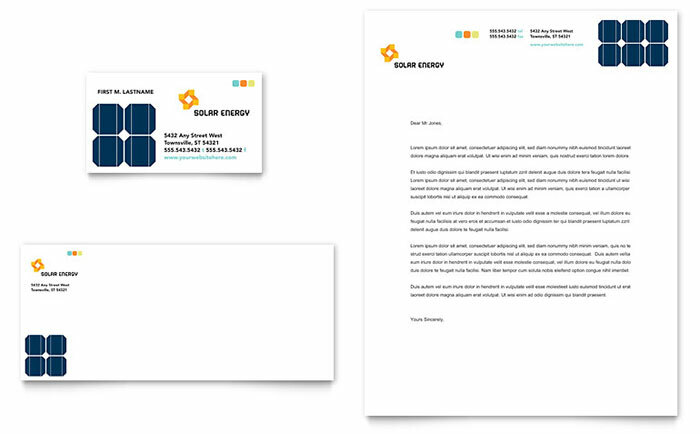 Get Word templates for energy and environment at LayoutReady.